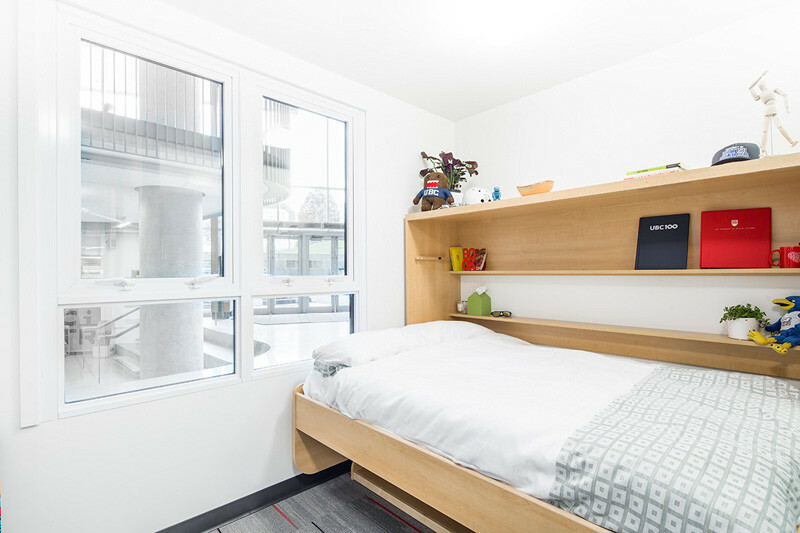 The University of British Columbia in Vancouver, Canada, has created a prototype for student housing, as a solution to making housing more affordable for students. 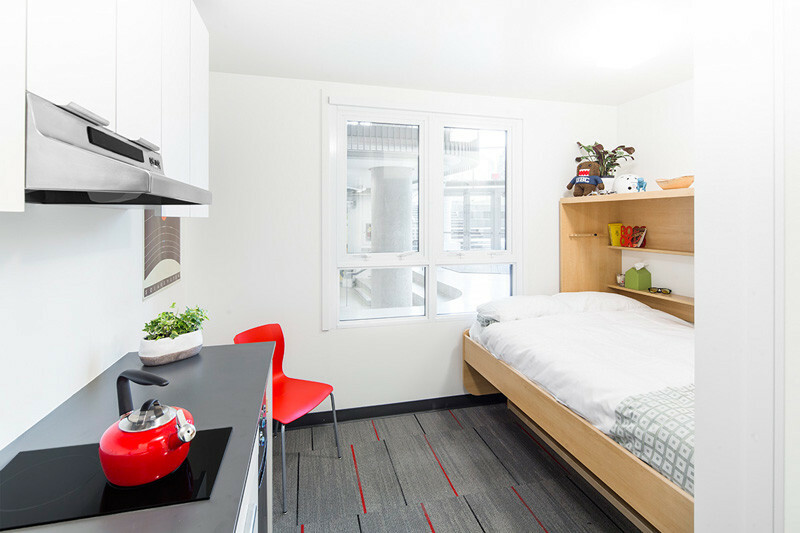 The Nano Studio, a 140 square foot micro-apartment, includes a kitchen, bathroom, and sleep/study space. 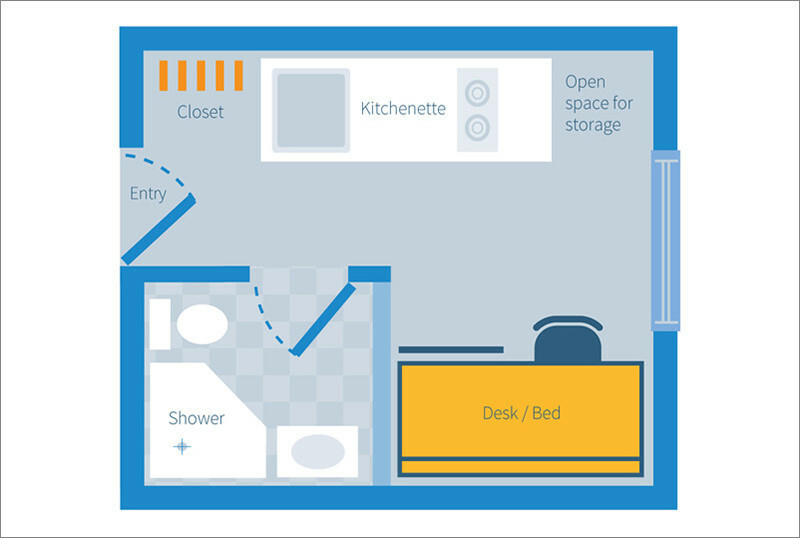 The bed folds up and gives you access to a work desk. 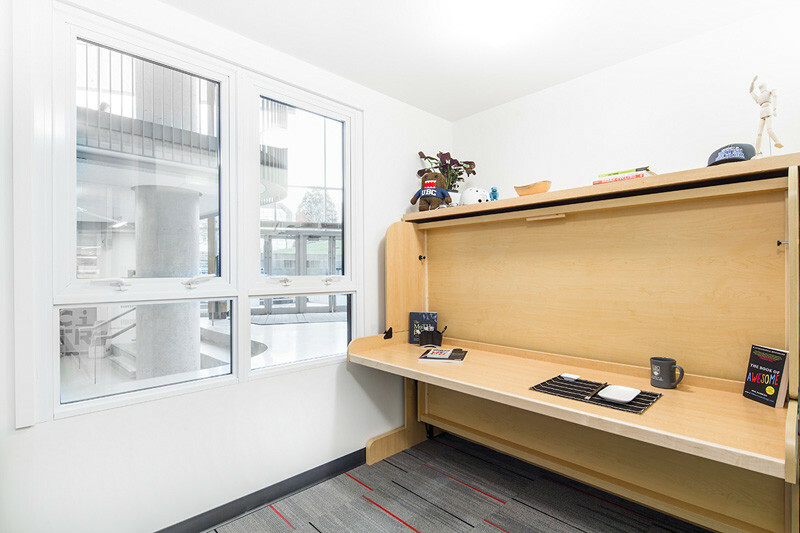 The large work desk is perfect for studying. 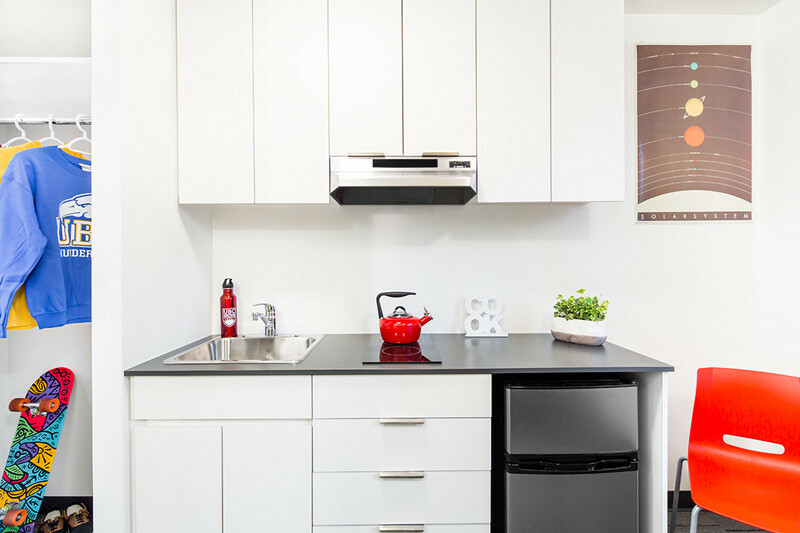 In the kitchen area, there is a small sink, a cooktop and a small bar fridge. 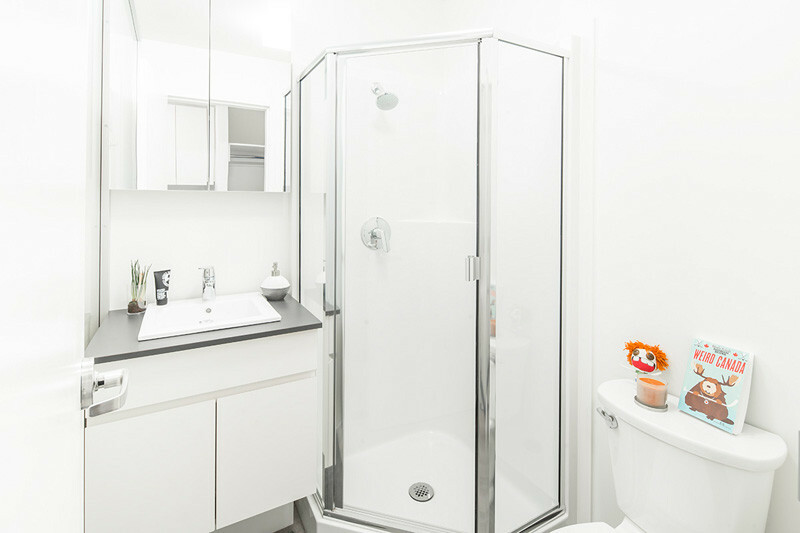 The bathroom is compact, but has everything you need. 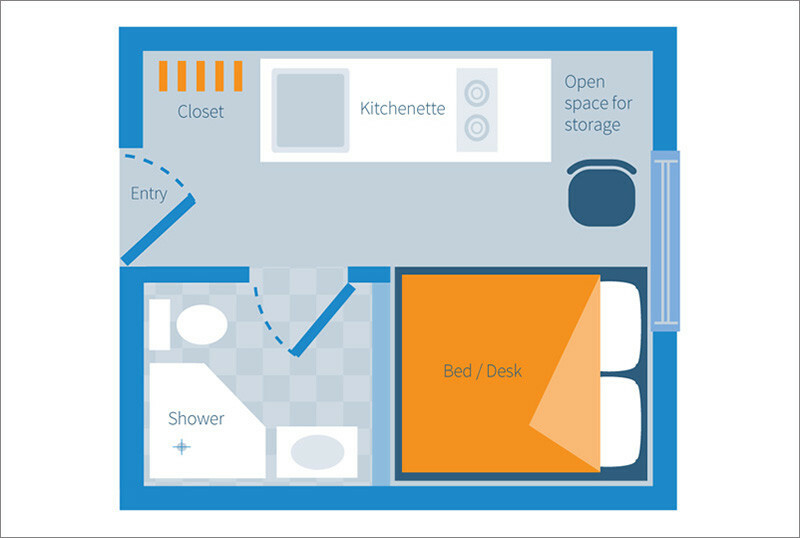 Here are the floor plans of the space.